Art Factory Soho is located in a privileged area in the heart of Palermo, meters away from Santa Fe Av., the legendary Serrano Square, Palermo woods, exclusive restaurants, pubs, designer shops and leading brands outlets. 2 minute-walk to Plaza Italia. The property is to 7 minute-walk to: Plaza Serrano, the heart of Palermo, home to weekend street markets. 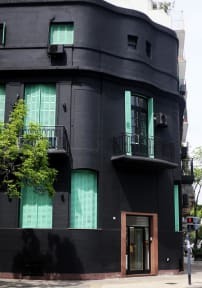 Some of the best clubs, funky bars and restaurants in Palermo Soho and Hollywood. 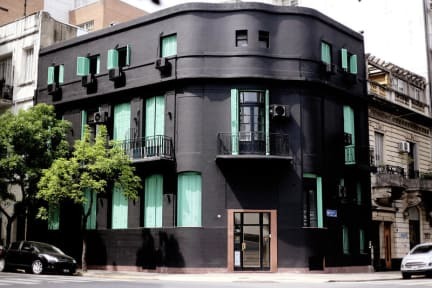 Main brands outlets and independent designers clothes shops and the hotel is to 10 minute-metro ride to Plaza de Mayo (main square in Buenos Aires), city downtown and modern Puerto Madero area. Art Factory Soho has 18 rooms with private bathrooms and flat screen TV. The rate includes: book exchange, touristic information, travel desk and 24 hrs. reception . The breakfast is included. Clean and simple, which was perfect. Loved this area of town, no matter how expensive, so I guess the price of accommodation is fitting, but it really could do with something extra (common room/bar) it feels very much like a hotel so don't expect a vibe. It was fine for us for a night stop over, what others have said about the tiny showers is true, no room to move and the water going everywhere in the bathroom is unavoidable. The bed sheets were clean but quite a lot of stains, same goes for the towels. Staff were really nice and friendly and a great Palermo Soho location. No real atmosphere, although dry friendly receptionist. Ground floor rooms noisy and brightly lit making it impossible to get a decent sleep, for which reason would not stay again. We woke up because we could hear someone going to the washroom at 6 am! Which was gross (it wasn't toilet flushing- we could hear them actually going). The showers are tiny and uncomfortable you can barely move in them and its impossible not to drench the entire washroom. You can find much better value in Buenos Aires.